The following press release was reprinted with permission from Virginia's Office of the Governor. The original release can be found here. 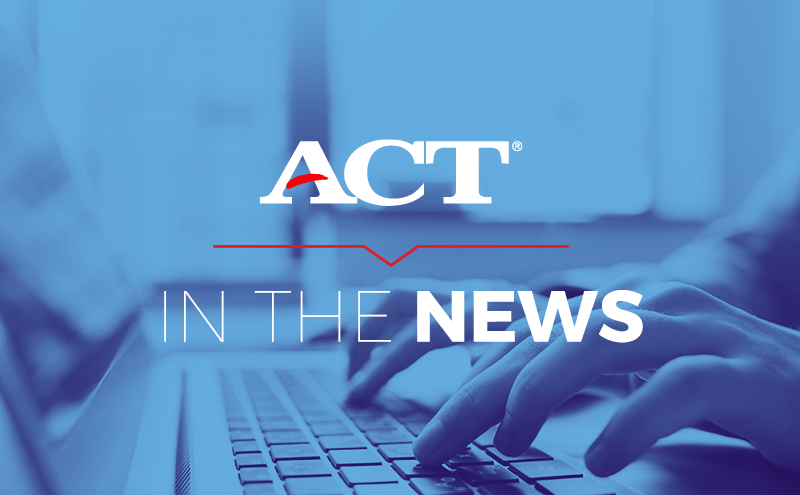 RICHMOND—Governor Ralph Northam today announced that the Commonwealth will participate in a pilot program that provides a complimentary breakfast to students at five of Virginia’s ACT test centers. On Saturday, October 27, students taking the ACT in Gretna, Harrisonburg, Martinsville, Springfield, and Tazewell will be offered a healthy breakfast before the test. Virginia’s Child and Adult Care Food Program (CACFP) and ACT, Inc., a nonprofit organization based in Iowa City, Iowa that administers the ACT assessment, will partner to pilot this initiative, drawing on research demonstrating that students who are hungry—particularly those who have missed breakfast—have poorer cognitive performance, especially when testing. “We want to offer our students every advantage to perform as best they can on the test, and offering a free breakfast before sitting for the test seemed like an ideal way to do it,” said State Superintendent of Public Instruction Dr. James Lane. “It’s a perfect fit with our longstanding mission to help people achieve education and workplace success, and we are thrilled to be able help make this idea a reality,” said ACT Senior Vice President Scott Montgomery. CACFP is a federally funded program administered by the Virginia Department of Education’s Office of School Nutrition Programs. Many Virginia school divisions are eligible to participate in CACFP—for information, please contact Sandy Curwood at (804) 225-2074 or Sandra.Curwood@doe.virginia.gov.